Our attorneys are petitioning the United States Supreme Court to proceed with a medical malpractice case that challenges the Feres doctrine, seeks justice for our client and fights for the rights of all service members. Learn more about the case and ongoing updates on our blog. BREAKING NEWS Our attorneys recently earned a $40 million settlement for our client Richard Newman and another man who were severely injured in a Seattle helicopter crash in 2014. Learn more about the settlement and case on our blog. Our lawyers represent severely injured passengers and community members that have come forward against Amtrak after its train derailed and tragically killed three people and injured dozens more. We are proud of our clients for standing up to hold responsible parties accountable. Learn More. Award Winning Experience. Working For You. Luvera Law Firm Partner David Beninger was recently profiled in the King County Bar Association Bar Bulletin for the successful career he's built battling for underdogs in personal injury, wrongful death, insurance misconduct, nursing-home injury cases, and more. Learn more. Experience to Count On. Results to Believe In. At Luvera Law Firm, we are fearless advocates who achieve exceptional results for seriously injured people and their families. We are trusted trial lawyers who battle to uncover truth and create positive change by seeking justice and accountability. Learn more. Read about recent developments in the investigation of surgical practices at Swedish Medical Center’s Cherry Hill Neuroscience Institute. We are here to help if you or a family member were affected. Learn more. Our experienced attorneys are fearless advocates for seriously injured people and their families. We handle a broad variety of cases, including serious injuries and wrongful death caused by commercial and vehicle accidents of all types, medical malpractice, product defects, construction site accidents, corporate wrongdoing, and insurance misconduct. Our work creates positive change in corporate and governmental behavior, which benefits not only our clients but makes our world safer for everyone. We count judges, governmental and corporate leaders, hospital administrators, doctors, nurses, and insurance claims adjusters among those who choose us to represent them, and refer others to our firm. Our founder and one of our partners belong to the Inner Circle of Advocates, the nation’s most exclusive plaintiff’s trial lawyers’ organization, limited to the best lawyers in the United States. In short, our expertise is renowned and our results speak for themselves. Olympic pipeline explosion in Bellingham, Washington kills 2 boys. Tesoro explosion in Anacortes, Washington kills seven workers. After being paralyzed while having my spine examined at Overlake Hospital Medical Center, I wanted an advocate who would seek justice for me, and pursue greater accountability. 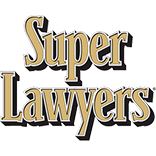 Luvera Law Firm is among the select few with the expertise needed. They earned a settlement in my case, and they understood I wanted to shed light on what happened and to use those lessons to make hospitals everywhere safer for patients. My attorneys helped me form a special working partnership with hospital executives, and now I’m applying my background as a design expert to improve patient safety. ‘Let’s just watch it,’ my pulmonologist advised. For six years, he negligently failed to diagnose the spot on my lung, instead watching as the cancer metastasized from my left lung to my right. By the time he ordered a needle biopsy that revealed the spot to be cancer, it was too late. The cancer was at stage IV. As a former commercial litigator, I know the power of the justice system. I called Luvera Law Firm because I wanted to make sure my doctor didn’t do this to anyone else. My attorneys were like investigators, examining my medical records and gathering multiple experts to advise on my case. They were passionate about finding the truth, and always so professional and responsive. After my mother-in-law, Ellen, received lower back surgery at Valley Medical Center, she complained of terrible pain to the nurses, but they didn’t notify her doctor until it was too late. By the time she got into an operating room, a blood clot had developed in her back and paralyzed her. She contacted Luvera Law Firm, knowing they had the expertise and compassion needed to seek justice. From the beginning, the attorneys and staff treated us with respect, and we developed a feeling of family. Luvera Law Firm stands up for the underdogs – they do right by their clients. Heartbreakingly, Ellen died from her condition before the case concluded, but together we continued her charge and held the hospital accountable. Delayed diagnoses and treatment for blood clot following mother-in-law’s back surgery lead to paralysis and ultimately death. Learn more about attorney John Gagliardi and his career accomplishments. FDA to overhaul medical devices approval process to protect patient safety. 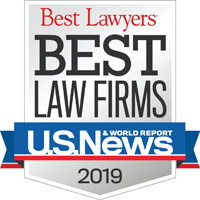 Luvera Law Firm recognized in U.S. News - Best Law Firms guide for ninth consecutive year. We care deeply about our community and proudly support many charitable, educational and legal causes through our time and financial commitments.